Unfortunately, acute or chronic pain is something that everyone in their life experiences at one time or another. Even though this is a powerful reminder from the body that something is either healing or going terribly wrong, a way to manage the pain is often required in order to live a functional lifestyle. The first resort to manage this type of pain has typically been prescriptions or over the counter drugs. These medications do have side effects, however, and people are beginning to realize there are more natural solutions that can be as effective or more powerful than drugs. Here are 3 of them. 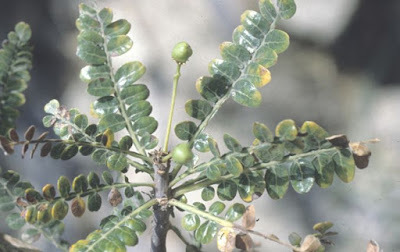 Often called Indian Frankincense, boswellia originates in the dry areas of India, Africa, and the Mediterranean. It is a remarkable plant and is becoming better known for its anti-inflammatory properties. Inflammation is the root of chronic pain. The unique acids (boswellic acids) block the overproduction of cytokinetic activity in damaged tissues while enhancing blood flow to the joints. This combination has also been shown to increase joint mobility and loosen stiff joints. Boswellia has shown great success at reducing inflammatory conditions such as Crohn’s, rheumatoid arthritis, osteoarthritis, ulcerative colitis, and other painful conditions. Many studies have shown that it is as effective as NSAID’s, which are the most commonly prescribed drug for issues related to inflammation and chronic pain. Another powerful anti-inflammatory food with exceptional pain relief properties, turmeric is an ancient spice commonly used in Indian and Asian cuisine. Turmeric has shown to work better than many other pain-killing drugs at relieving arthritis, joint pain, stiffness, muscle spasms, and other chronic pain conditions. A natural painkiller and COX-2 inhibitor, turmeric has been shown to be a safe and effective remedy due to its ability to not only stop inflammation, but to suppress nerve related pain as well. This makes it exceptional for those who suffer from fibromyalgia. Astaxanthin (asta-zan-thin) is a deep red coloured phytonutrient synthesized by microalgae called Haematococcus, and is also known as the “King of Carotenoids”. It’s grown in fresh water using sophisticated techniques that encourage the algae to grow its own powerful medicines protecting it from oxidation, UV radiation, and other environmental stressors. Even though astaxanthin may not be as powerful as leading pharmaceutical anti-inflammatories, it is found to be one of the strongest ones in nature. Several double blind, placebo controlled animal and clinical trials shows that astaxanthin naturally inhibits many of the known inflammation mediators, which eases inflammation and pain without side effects. It has been used effectively for joint pain, muscle recovery, and other painful conditions. Since astaxanthin is fat soluble (unlike most antioxidants) it gets carried by fat molecules directly to your muscles, tissues, and organs where it is needed most, like your brain, breast tissue, prostate tissue, skeletal muscles, and retina.